You want to hear Larry Page and company talk about Android and Google+ and YouTube and maybe even Google Goggles this afternoon? Me, too. But if last quarter’s earnings call is a guide, we’ll end up hearing a lot about CPC — the cost that Google charges search advertisers for every click. Wall Street freaked out three months ago because Google’s CPC declined for the first time in years. And the same thing could happen this time out, as well — several analysts are predicting a 10 percent CPC drop for Q1 earnings today. And if that does happen, Google executives will end up making the same argument they made last time: Chill out! If our prices have gone down, that’s no big deal, because we’re selling a lot more stuff. 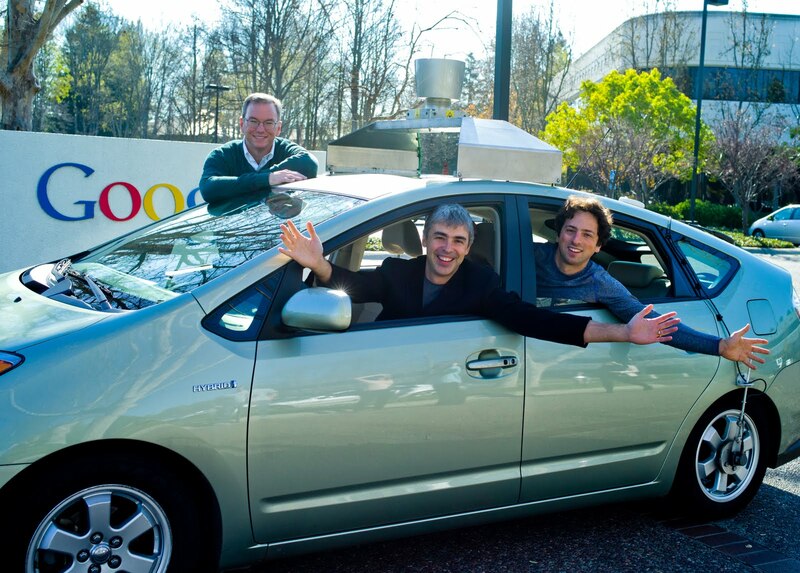 Microsoft has yet to slow Google’s growth, and Facebook doesn’t seem to be doing that, either. 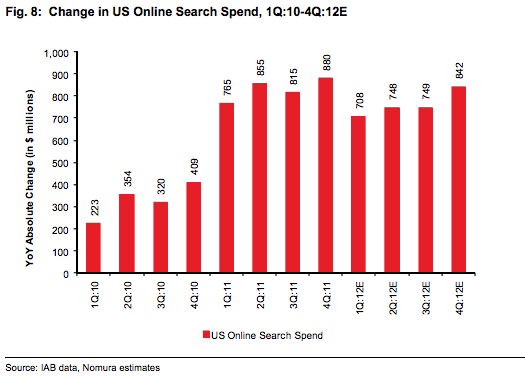 This is a pretty persuasive argument, and this is what it looks like in chart form: A couple years’ worth of real and estimated search advertising growth, via Nomura analyst Brian Nowak. That growth doesn’t all accrue to Google, but as long as Google gets the lion’s share of it, it’s hard to get freaked out about pricing. You really can make it up on volume.